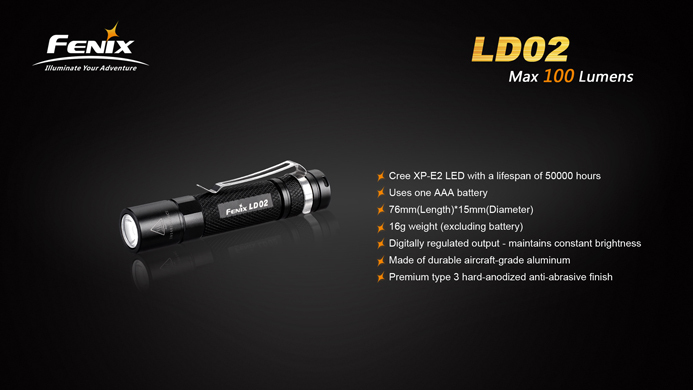 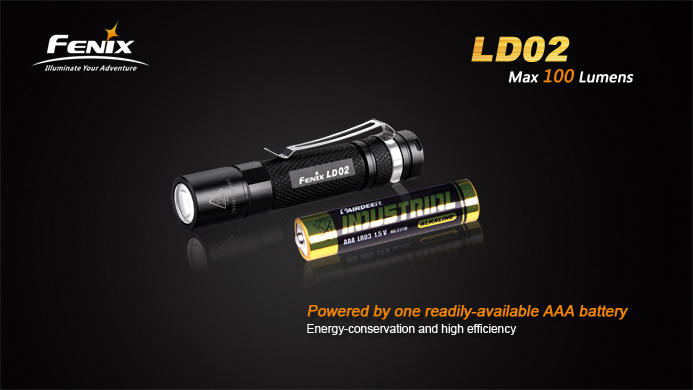 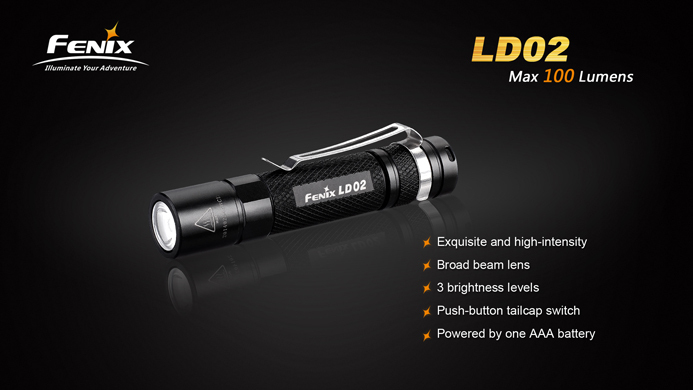 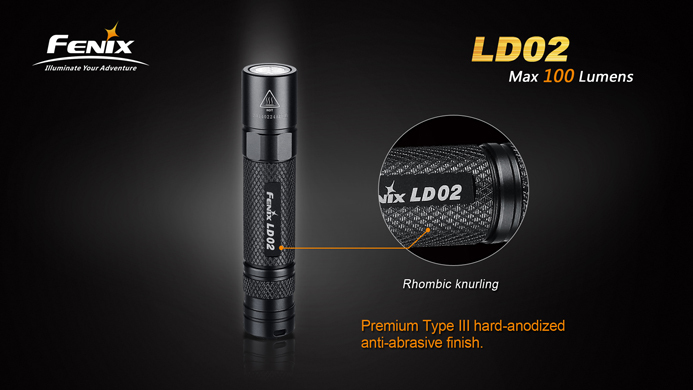 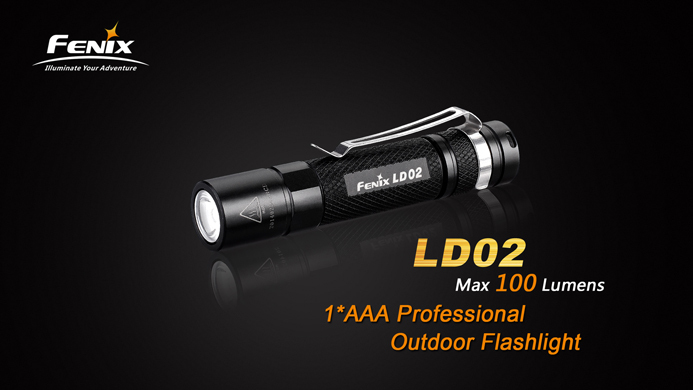 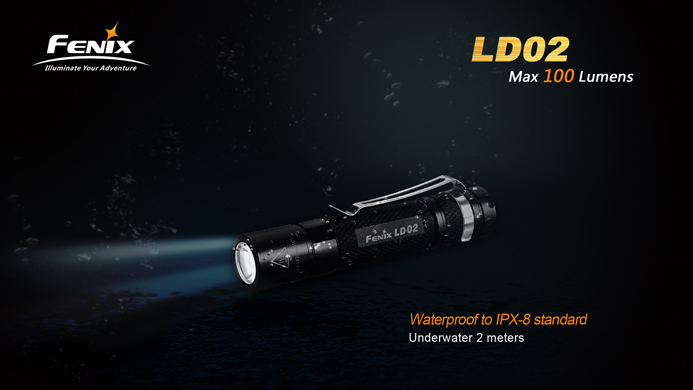 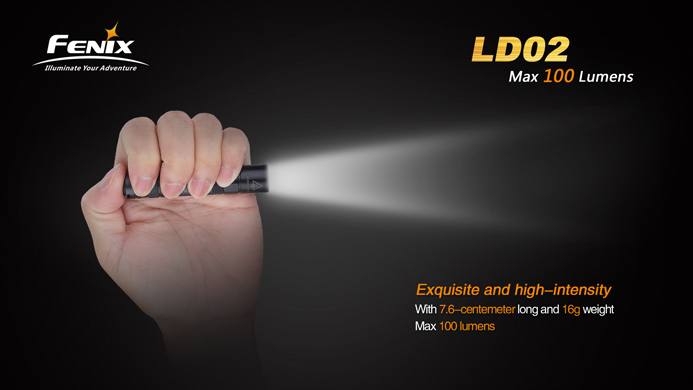 Small but mighty, the LD02 flashlight offers up to 100 lumens with a 45-meter range, all in a tiny 2.99 inch package that fits in your pocket or on your keychain. 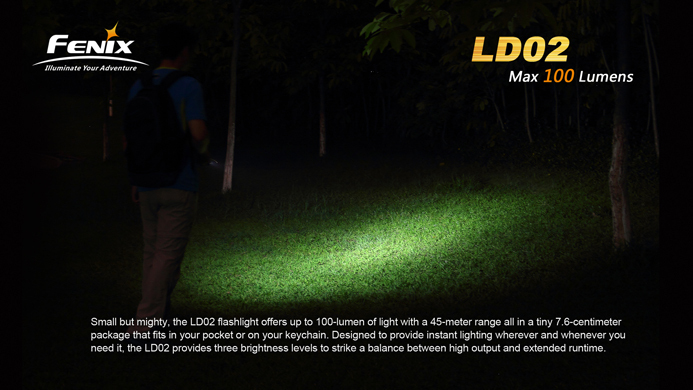 Designed to provide instant lighting wherever and whenever you need it. 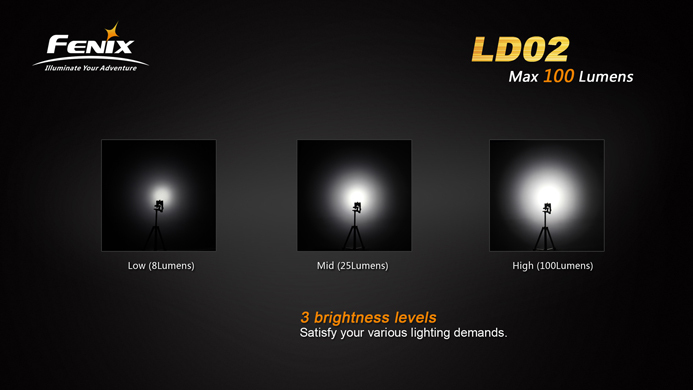 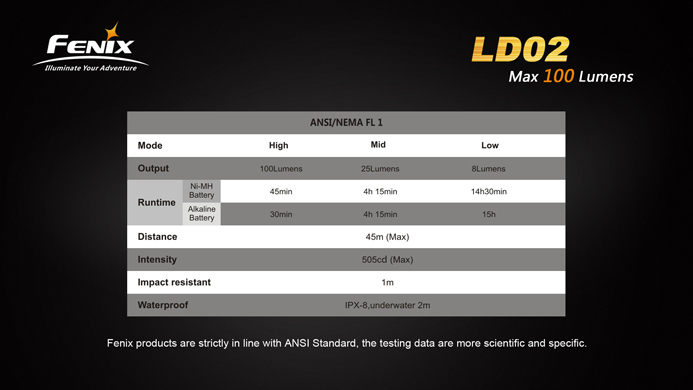 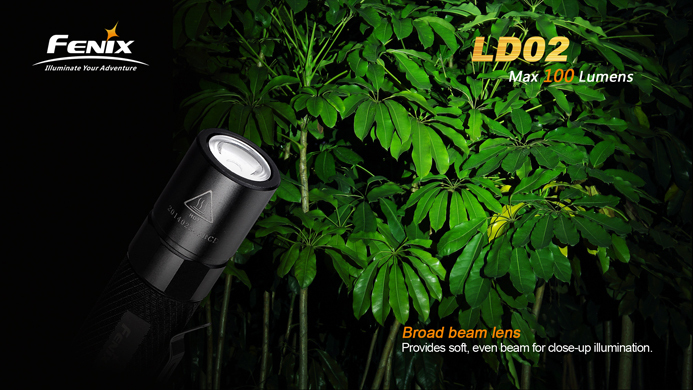 The LD02 provides three brightness levels to strike a balance between high output and extended runtime.